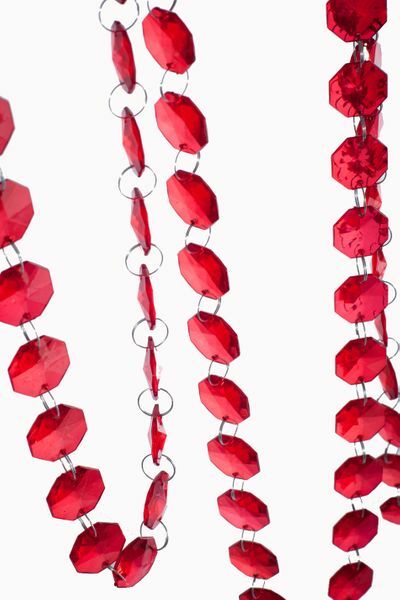 This awesome strand of high quality crystal clear RED acrylic beads is perfect for decorating a wedding tree. You can also make your own curtains, string them along as garlands, the possibilities are endless! Each bead is attached to the next with jump rings, making it very easy to remove and add sections of length to fit your project perfectly. We offer our octagon beads in a few sizes. 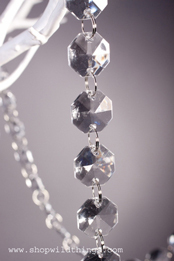 The beads on this strand are 22mm (or .86 inches) Some creative uses for beaded acrylic strands are shown in the photos below. 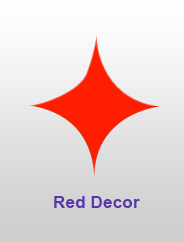 I bought this for a bed canopy decoration. It was easy to shorten the strands. I simply removed the wire jump rings between jewels. 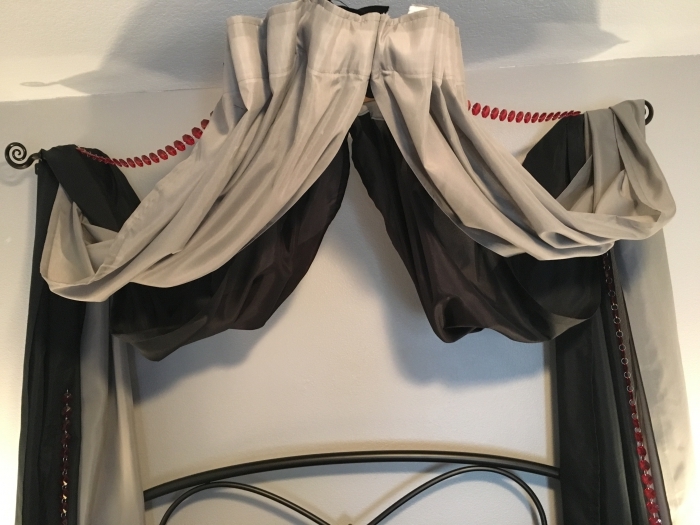 The red strand added some sparkle to a black and gray themed bedroom.